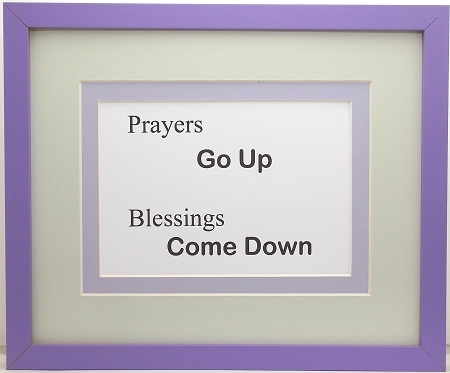 Christian wall frame decor: Prayers Go Up Blessings Come Down. Medium Purple frame includes a light green and light purple double mats with a 1/4 inch revel of light purple. Purple wood frame christian saying includes glass & wall hanging system. Great for nursery or childrens room.